When the familiar smell of potatoes frying in oil begins wafting through the house, you know that Hanukkah is in full swing. Though your family’s latke recipe is likely a matter of time-honored tradition, your potato-frying technique is something that should be perfected fry after fry, year after year. Here are five rules for making your crispiest potato pancakes yet, to be followed whether you celebrate Hanukkah each year or simply can’t resist this holiday tradition. The last thing you want in your latke is a hunk of raw onion in what was supposed to be a bite of crispy potato. 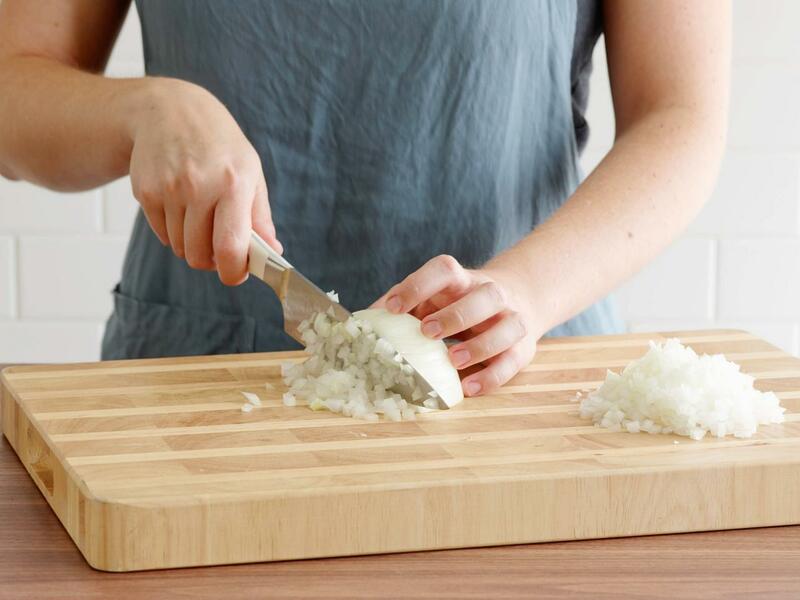 To prevent any surprises, chop your onion until it’s super fine (we mean really fine), so that the onion can retain its sweet flavor to the fullest extent. 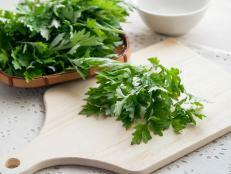 Grating the onions is another option, but keep in mind that the grated onion will unleash the onion’s innate juices and will drain away a lot of its sweetness. If you’ve made latkes before, you know that grated potatoes begin to discolor after they sit out for even just a few minutes. 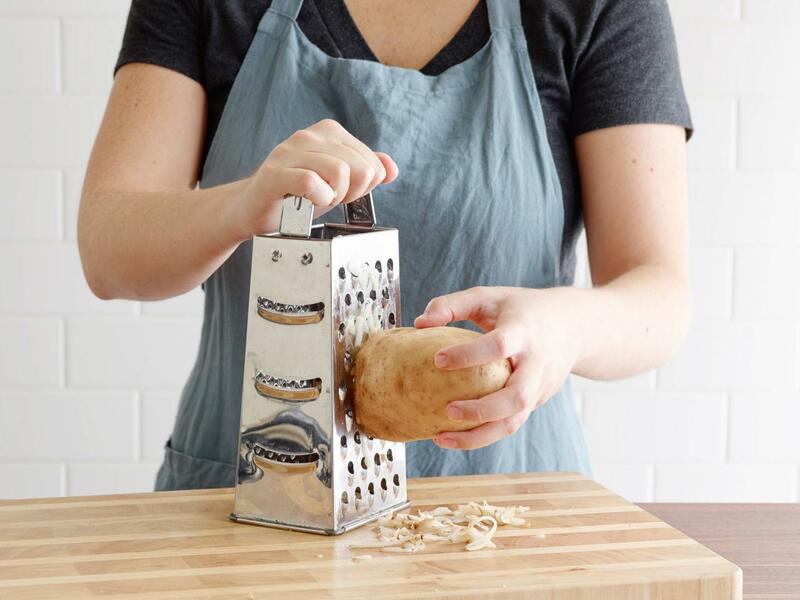 To prevent the oxidation process from happening, save the potato grating for the very end, right before the other ingredients are mixed together. Other than that, whether you use a box grater or food processor to shred the potatoes is a matter of family tradition. 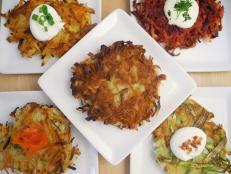 A latke that is crispy and golden on the outside and tender on the inside is the perfect latke. 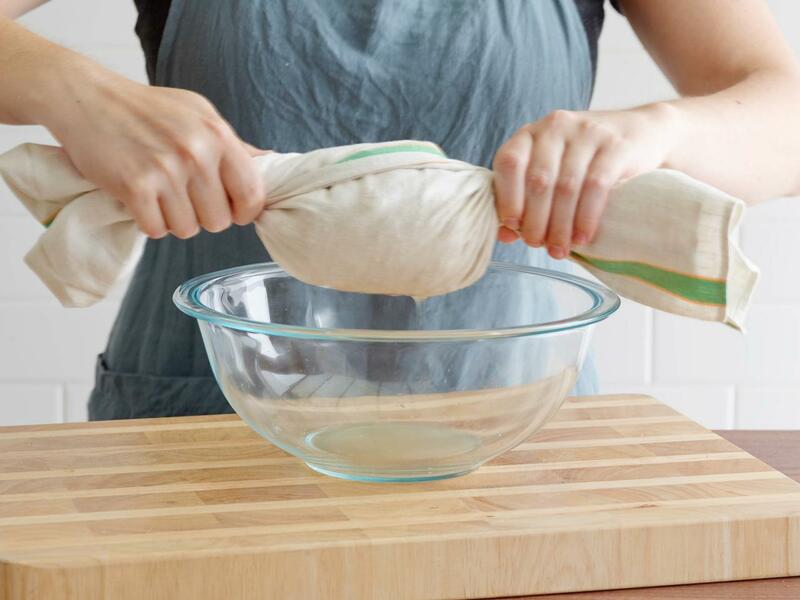 Be sure to wring out the excess moisture in a clean kitchen towel. 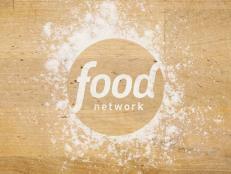 The more moisture you can squeeze out, the more likely you are to achieve that sought-after golden crust. 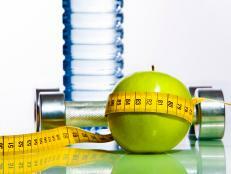 You might be tempted to skimp on the oil to keep things healthy, but consider cutting your calories somewhere else. 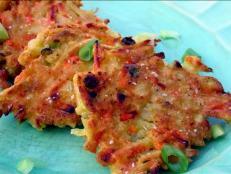 Using too little oil will result in latkes that are unevenly cooked, with sections that are burnt, soggy and unsightly. By that same token, using too much oil will drown the pancakes so they won’t retain their round, pancake-like shape. 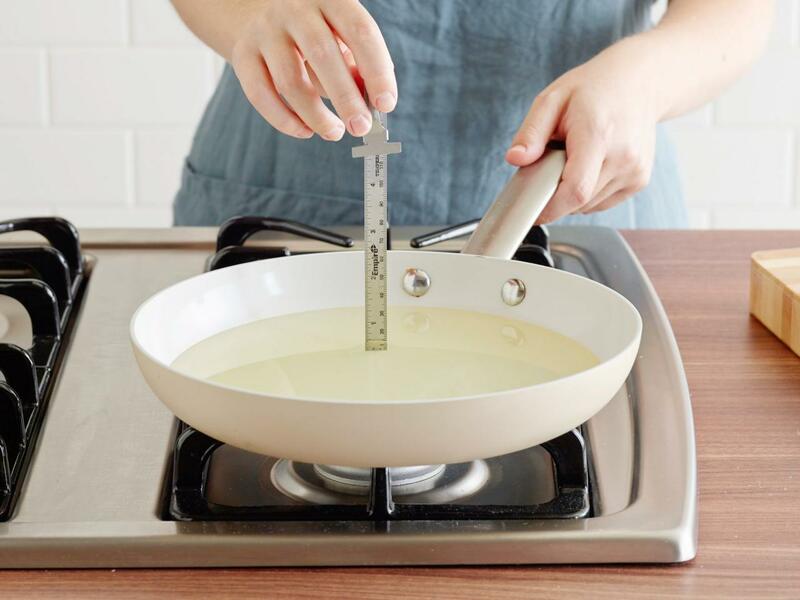 By using at least 1/2 inch of oil, you can expect to achieve evenly cooked (and therefore perfect) potato pancakes. Most importantly, test a bit of the batter in the oil to make sure it’s hot enough before dropping your first batch of latkes in. That way, they’ll begin cooking on their initial impact without needlessly soaking up more oil. 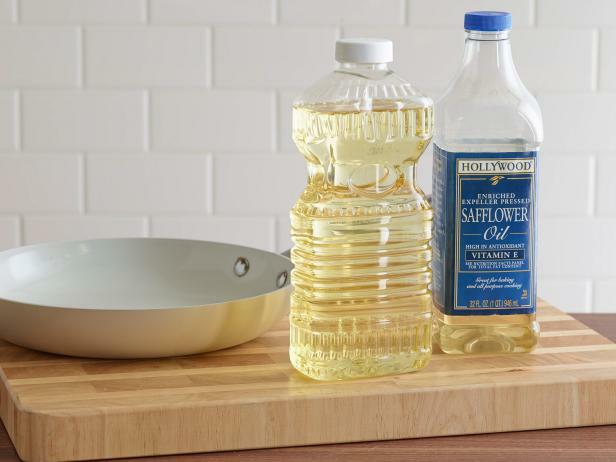 As is the case with everything you cook in oil, one type of oil does not suit all. When frying your latkes this year, reach for a variety that has a high smoking point and won’t be overpowering in flavor. While certain types like olive oil have a low smoking point, vegetable or safflower oil will give your latkes that golden hue and crunchy bite you’ve been waiting for all year. 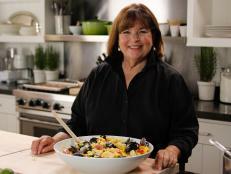 For a buttery latke (made with dairy), Ina Garten uses clarified butter in her Potato Latke recipe, which works just as well. 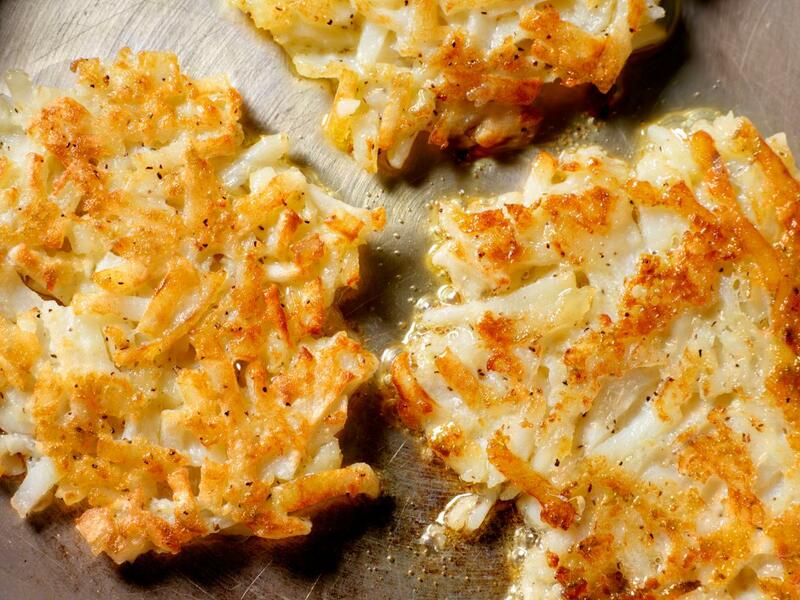 After you’ve nailed down the basics, get creative with your latke frying with five classic and unique recipes that are just waiting to be dipped in applesauce and sour cream. 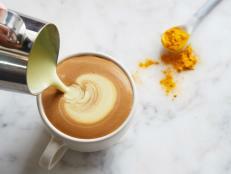 This winter, coffee purveyors are really going for the gold. 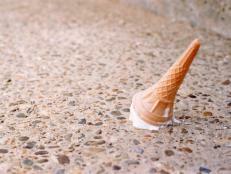 Is the 5-Second Rule Valid? Some call it the 5-second, 10-second, even the 30-second rule: You drop food on the floor and if you pick it up in time, then it’s okay to eat. Or is it? 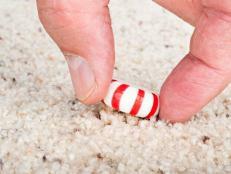 Wait, the Five-Second Rule Is Real? 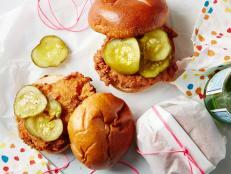 A blind taste test reveals that not all fast-food fried chicken sandwiches are created equal.